It’s The Hotness: Summer Music Preview! It’s summer, y’all (temps almost broke 90 today so we can officially say that now), which means it’s time to get your butts out there and see some live music and DJs. 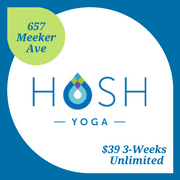 North Brooklyn is awash with options this year, some of them free and some of them not so free, but all of them are awesome. We’ve got rooftop parties, music festival afterparties, soul and rap legends, indie bands, pizza and tacos galore. Also, booze. Check out our roundup of this season’s seriously massive music lineup. 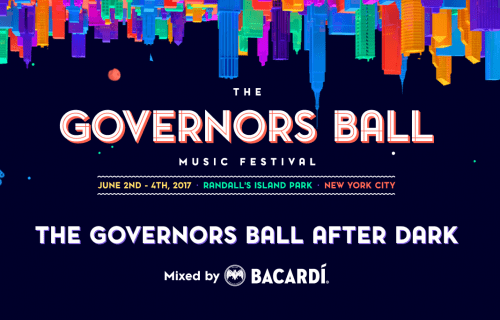 Governors Ball is back again this year on June 2-4, and the epic music fest is also serving up some awesome night shows too, and most of them happen to be right here in North Brooklyn. Some shows are already sold out, so either jump on some Craigslist tickets or try to snag some for the shows with tix still left! Paul Gold at Salt Mastering. Vinyl might be making a comeback, but Greenpoint audio mastering legend Paul Gold never left it behind. 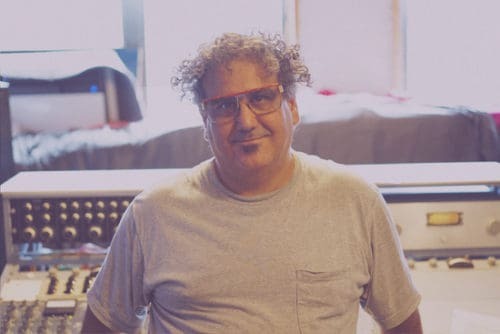 At Salt Mastering (61 Greenpoint Ave.) in the Pencil Factory, he’s spent the last 10 1/2 years mastering for such acts as Grizzly Bear, Animal Collective, and LCD Soundsystem. I recently set aside some time to garner stories from Paul about his history in the business, and maybe get a few technique pointers along the way. Arriving at his place of business, I pried open his door on the fourth floor, and he shouted from the other room to come in. Paul is a bit of a mad scientist. His hair bounces around as he moves about in his studio, and his large frame glasses are actually of his era, and not worn ironically. We sit in a relatively small unit, the front half filled with tools and scraps of audio gear, while the main mastering room is surrounded by large gear that looks like something out of those black-and-white Twilight Zone episodes on time travel from the 1950’s. We love celebrating music and keeping things local so we’re giving away two tickets to our CMJ showcase at Bar Matchless on Friday, October 16. Starts at 8pm. A winner will be selected at random and be notified via email by Wednesday, October 14. Get a glimpse of the showcase bands here. 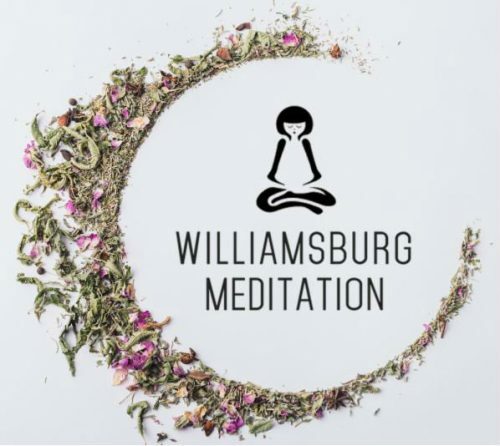 This showcase is presented to you by yours truly (Greenpointers), Supercrush Studio, and CaraBella. As a follow up to our Northside Festival preview, here is a recap of some of the shows we got to catch during the past weekend long festival. 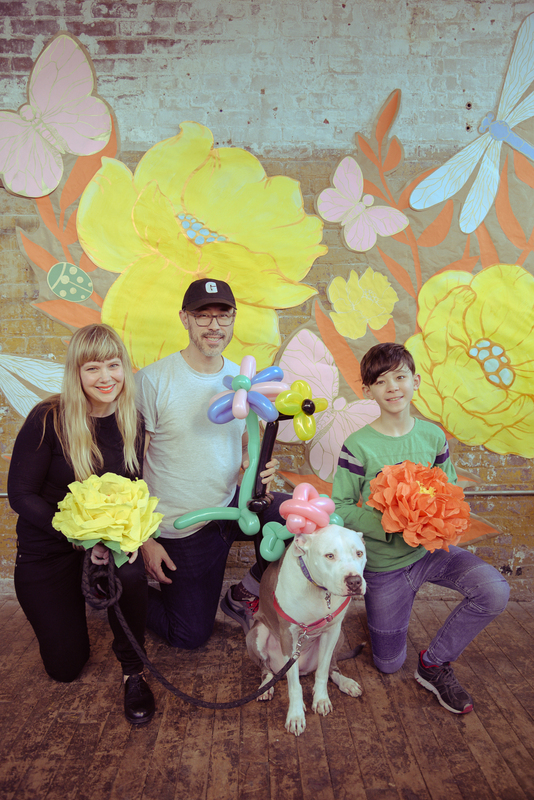 Tonight Close Encounters is hosting a record release party for Savants’ new album Seven. 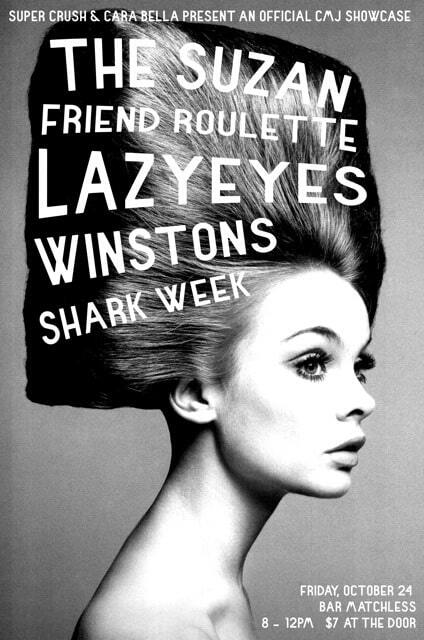 They play Legion (790 Metropolitan Ave) at 9:30pm along with Electric People and Dive Bombers. Check out the track “Shake Pendulum Shake” – and get the album on Bandcamp while you’re at it. TONIGHT! 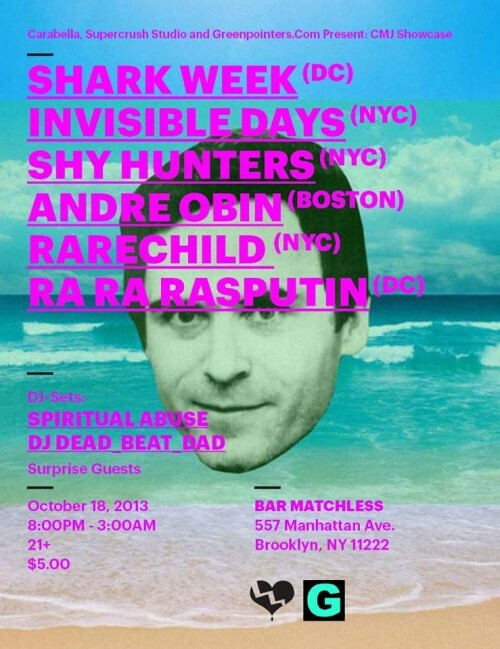 CMJ SHOW @ MATCHLESS!!! (10/18) & Happy B-Day Gabo! 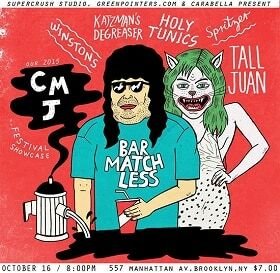 Greenpointers is proudly co-sponsoring a CMJ Show with Supercrush Studios and CaraBella Presents – TONIGHT – Friday, October 18 at Matchless (557 Manhattan Avenue) at 8PM, $5 without CMJ pass. 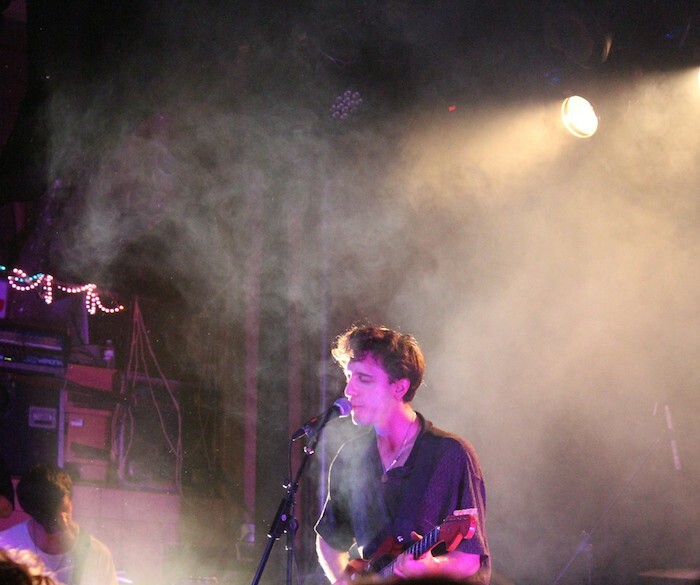 Read our interviews with the bands. If you see Gabo, the man behind Super Cruch give him a big hug for his birthday! 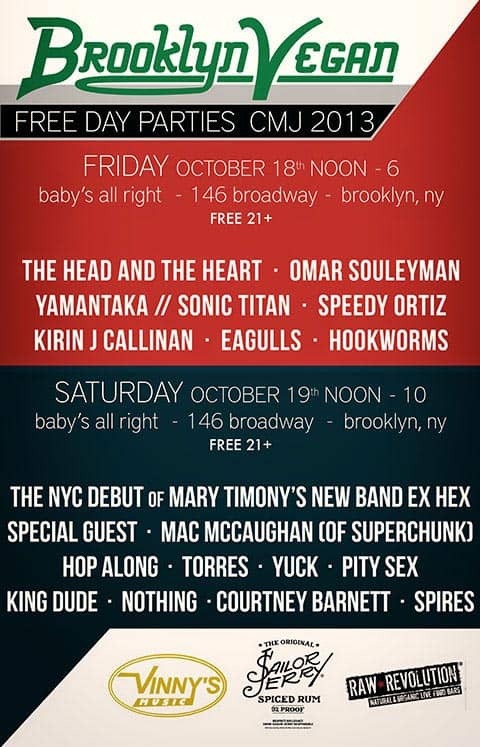 FREE Brooklyn Vegan CMJ Showcase at New Venue Baby’s All Right (Fri & Sat) – Plus FREE Tattoos & Sailor Jerry Rum! And there is another FREE show ALL Day tomorrow (10/19), too. 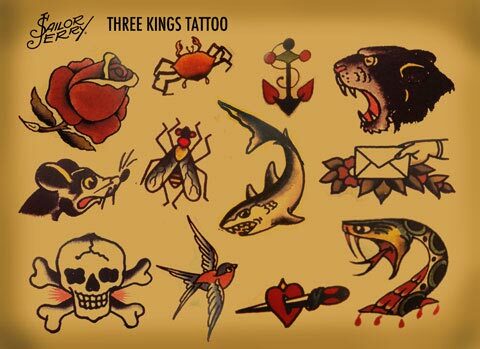 But the 18 live bands isn’t the ONLY free thing – Three Kings Tattoo & Sailor Jerry are setting up a Pop-Up Tattoo Shop… FREE RUM & TATTOOS! 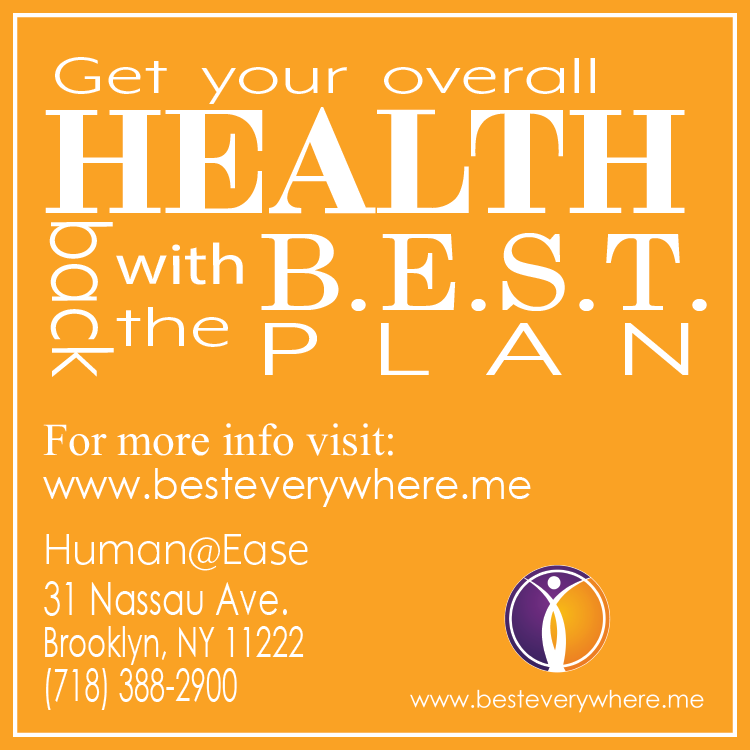 Check out more info and the full lineups. 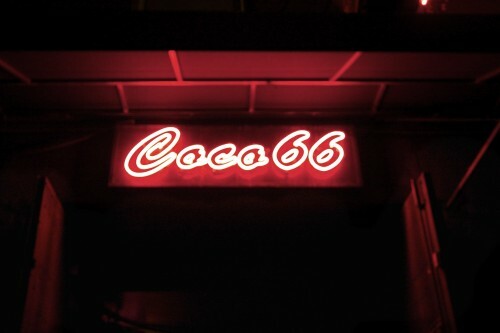 Saturday night’s Greenpointers-sponsored showcase at Coco66 turned out to not only yield an impressive lineup of bands from near and far, but it also brought to light some pretty badass women musicians on the indie scene (more on that in a bit). 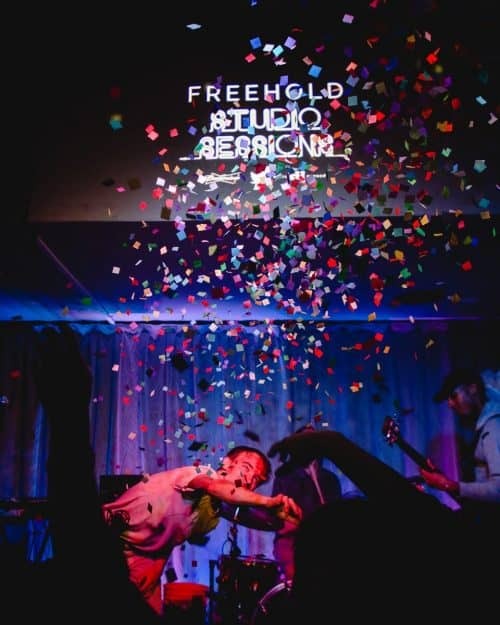 Opener and Julliard-trained St. Lenox kicked off the evening’s festivities with a unique sound that blended classical, electonica and soul genres with powerful vocals to accompany – a spot-on prelude for what was to come.